Richard C. Paul died on 28 July 2018, in Las Cruces NM, at the age of 62. Richard was born on 24 October 1955 in El Paso TX to Robert and Ardell Paul. He was a graduate of Las Cruces High School in 1974. He received a BS in Criminal Justice and a BS in Business Computers from NMSU. He graduated from Northern Arizona University with a MS in Criminal Justice. He had a long career in Security and Law Enforcement. 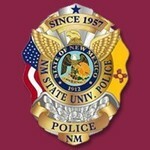 He worked for the NM Horse Racing Commission on Sunland Park and Ruidoso Downs horse racing tracks; the New Mexico State Police Mounted Patrol and the NMSU Police. He retired in 1999. Richard was an Eagle Scout, served his country in the Army reserves and in his later years became very active in the Presbyterian Church. He found a special calling working with prisoners through the Kairos ministries and helped the men turn their lives around. Richard was an avid reader who loved history. He had an incredible memory and wealth of knowledge of the 20th century and WWII. His Master’s thesis centered on the Navajo Rangers and he shared a special friendship with many of the elders in the Navajo Nation. Richard is survived by his mother, Ardell Paul of Las Cruces NM; his sister Martha Paul of Las Vegas NV and his aunt, Gertrude Stewart of Monterey, LA. He was preceded in death by his father, Robert H. Paul. There will be a viewing on Wednesday, August 1, 2018, at Getz Funeral home from 5PM to 7PM. The funeral is scheduled for Thursday, August 2,2018, at 1PM at the University Presbyterian Church. The ceremony will be officiated by Reverend John Pickett and Reverend Patrick Tebbano. In lieu of flowers, please send donations to the Kairos (Prison Ministry) through the University Presbyterian Church. To send flowers to the family of Richard Paul, please visit our Heartfelt Sympathies Store.